We are bulk distributors of Lafarge Cement. Lafarge has proven over a long period of time to be one of the leading Cement companies in the country. 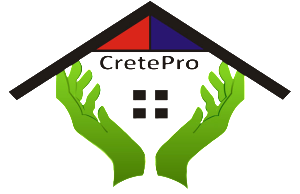 CretePro offers delivery of cement to the customer’s doorstep in large and small quantities. We offer the most competitive prices on all our cement products and with the backing of Lafarge the customer can always be sure to get the best possible deal and quality product. We make use of an 85/15 mix design specifically developed by Lafarge Industries for CretePro. We use Lafarge Powercrete 42.5R cement in our Concrete which is a high performance cement which optimizes concrete strength. We use Omega 122 as an additive to ensure that our concrete remain workable for the longest period of time without having to add unnecessary additional water that might jeopardize our concrete strength. We have a state of the art 42m3 per hour Batch Plant that measure all components of our ready-mix concrete meticulously to ensure premium quality. CretePro is also the answer to all of your aggregate needs! We sell the best aggregates for every building application at the best price. We deliver in various quantities from as little as 1cube to 20cubes at a time. Our reliable fleet of trucks and friendly personnel always ensures delivery on time, every time!